The NAMM Foundation has announced the nominees for its 32nd Annual NAMM Technical Excellence & Creativity Awards in the categories of Outstanding Technical and Creative Achievement. The NAMM TEC Awards are presented annually in celebration of the pro audio community by recognising the individuals, companies and technical innovations behind today’s sound recordings, live sound, films, television, and video games. Stand-up comedian and actor Sinbad will return for his third straight year as host. This year’s Outstanding Technical Achievement Nominees were chosen across 23 categories and include selections in two new categories: Audio Education Technology and DJ Production Technology – Hardware/Software. 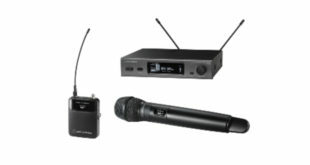 Nominees will be recognised in an additional 19 categories that range from Wireless Technology to Musical Instrument Amplification & Effects, Computer Audio Hardware and beyond. 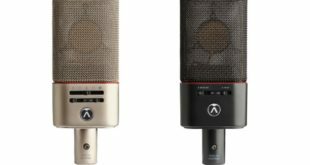 Represented in many of the nominations for the 2017 show are the creators of more compact and mobile products that reflect the demands of an increasing number of independent and home studio musicians. 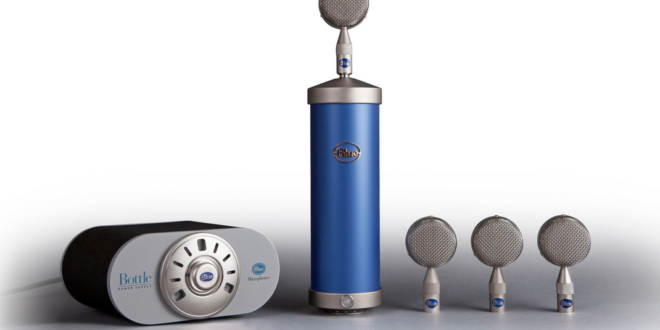 Examples in the DJ world include American Audio’s VMS5 Controller, double-nominee Moog Music for their Model 15 App, and Blue Microphones’ Bottle Mic Locker (pictured) that offers studio musicians the flexibility and option of layering tracks with different capsules to find the right sound. Eight categories for Outstanding Creative Achievement represent household artists and projects, including multi-Platinum recordings by artists Adele (Adele Live 2016 for Tour & Event Sound Production) and Paul McCartney for the One on One Tour in the same category. Downton Abbey and Game of Thrones will go head to head for the Television Sound Production award, while Film & Sound Production, Singles Recording Production, Interactive Entertainment, Remote Production and Sound Design categories will also be awarded. Voting will begin in November. In total, winners from 31 categories will be selected from the 179 nominees by industry professionals across major music, sound and game audio associations, along with pro audio-focused media groups. The Saturday, January 21 event begins with a VIP-only reception at 6PM, followed by the awards ceremony at 7PM, held in the Hilton Anaheim Hotel’s Pacific Ballroom. Tickets can be purchased on site or in advance here for $50 (General Admission) or $175 (VIP). The show will be available via a live event web stream during the NAMM Show. A full list of nominees and categories are listed on the TEC Awards website.